Like Philadelphia, Pittsburgh once had a robust jazz scene with legendary venues, including the Granada Theater and the Crawford Grill. Pittsburgh produced jazz greats such as Art Blakey, Billy Strayhorn, Mary Lou Williams, George Benson, Ahmad Jamal, Stanley Turrentine, Billy Eckstine and Kenny Clarke. Thanks to a new documentary, “We Knew What We Had: The Greatest Story Never Told,” the world will know what Pittsburgh had. The one-hour documentary includes live performance clips of the Jazz Masters, interviews and archival photographs. As important, the filmmakers contextualize Pittsburgh’s jazz culture by exploring social conditions and historical events. “We Knew What We Had: The Greatest Story Never Told” will air in February. For more information and air dates, visit their website. June is Black Music Month. First observed in 1979 at the White House, I’m kicking off the celebration at City Hall where I will offer public comments at a hearing on the Philadelphia Housing Trust Fund. Some background. Last year, the Pennrose Company demolished the John Coltrane mural in Strawberry Mansion. Pennrose has been feeding at the public trough of government subsidies for decades. But in an instant, the company erased a tribute to an American cultural icon. 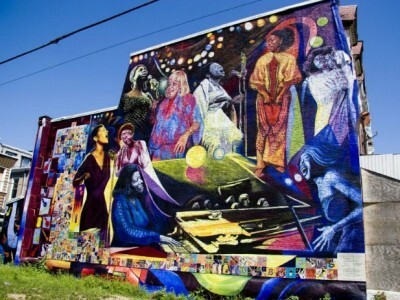 While the nation celebrates the centennial of the birth of Billie Holiday and Mary Lou Williams, the Philadelphia Housing Authority plans to demolish the Women of Jazz mural. It is my view that the affordable housing crisis that confronts this great city is also an issue of deep-seated structural poverty. … Solving the poverty problem will go a long way to solve the affordable housing crisis. Philadelphia is the poorest big city in the nation. A whopping 40 percent of school-aged children live in poverty. There is a correlation between education and poverty. If the educational achievement of poor children is increased, fewer will end up on PHA’s 10-year waiting list for public housing. A growing body of evidence shows that students with access to arts education perform better on standardized tests. In addition to improved student achievement, arts education contributes to the development of cognitive and social skills, nurtures a motivation to learn, increases student attendance and fosters a positive school environment. At-risk students cite their participation in the arts as a reason for staying in school. Students involved in arts instruction report less boredom in school. Ask students why they dropped out of school, they will say they were bored. The School District of Philadelphia has drastically cut arts and music programs; 25 percent of schools offer no music instruction. In the absence of arts education, murals may be poor students’ only exposure to the arts. 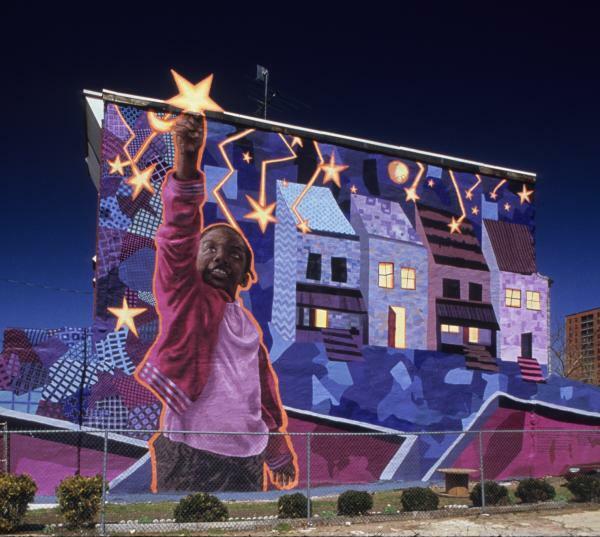 Community-based public art inspires young people to reach for their star. To be clear, it’s not about preserving brick-and-mortar. Instead, it’s about the transformative power of the arts to engage, motivate and keep students in schools. It’s also not about money. Through digital and mobile technology, a mural can be recreated at a fraction of its original cost. Indeed, the cost of preserving this great city’s cultural heritage would be far less than, say, Pennrose’s hundreds of thousands of dollars in political contributions.